The struggling electronics retailer reported dismal results for its latest quarter Thursday. But RadioShack's CEO touted success during the Thanksgiving weekend and announced plans to slash costs to help get it back on track. 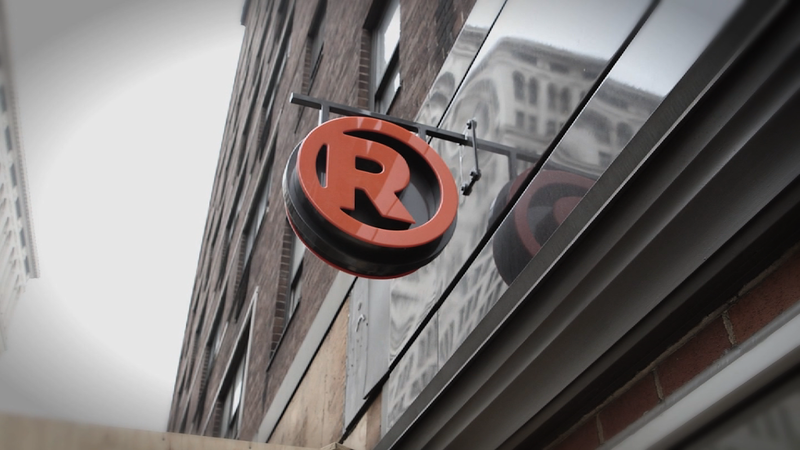 RadioShack (RSH) reported a net loss of $161 million, larger than expected. Sales plunged 16% from a year ago to $650 million, which was also below Wall Street's forecasts. The company also said that it finished the quarter, which ended on November 1, with just $62.6 million in cash and available credit. RadioShack has $841.5 million in debt. A quarter ago, the company had $182.5 million in liquidity and debt of $658 million. That is bad news, especially since the company is currently involved in a dispute with a top creditor about whether or not it has violated the terms of its credit agreement. RadioShack has struggled to compete with larger rival Best Buy (BBY) and also faces stiff competition from mass merchandise retailers Walmart (WMT) and Target (TGT)as well as online shopping king Amazon (AMZN). Despite efforts to remodel the company's stores and add fresher products like 3-D printers, drones and wearable cameras, the company is still viewed by many consumers as being a retail relic from several decades ago. RadioShack has even made light of that fact, with a popular Super Bowl commercial featuring '80s celebrities this year and a current holiday ad campaign with Weird Al Yankovic. But CEO Joseph Magnacca remains hopeful that the company's fortunes will improve. He said that same-store sales on Thanksgiving, Black Friday and the Saturday after that were up sharply from a year ago. However, mobility sales -- think smartphones and other wireless devices -- plunged sharply. Magnacca conceded that the cell phone business is a problem that needs to be fixed. He also outlined a plan to cut costs by $400 million next year through some store closures and lower marketing expenses. During a conference call with analysts, Magnacca said that the company is working with lenders so that it can eventually close up to 1,100 stores. RadioShack has been unable to close as many stores as it wants due to a disagreement with its creditors. He added that the company will be increasingly focused on targeted advertising, rather than expensive ad campaigns, to raise awareness of the brand. So it seems unlikely that RadioShack will have a Super Bowl commercial again in 2015. Magnacca also pointed out that the company's remodeled stores are performing much better than the ones with the older format and said that the company's Fix It Here service, which lets people drop off broken smartphones and tablets and watch them get repaired, has been a big hit with consumers. However, it may be too little too late considering how troubled the company's balance sheet is. The company's bonds are rated as junk. Analysts at credit ratings agency Fitch said Thursday afternoon that the cost cutting plans are "likely not sufficient to forestall a restructuring of the company's debt in the near term." Fitch added that "there continues to be a high likelihood of a bankruptcy filing" for RadioShack. Shares of RadioShack fell 7%Thursday and have plunged 80% this year. The stock is worth just 51 cents. Shares hit a peak of nearly $80 in late 1999 -- the height of the last tech boom.